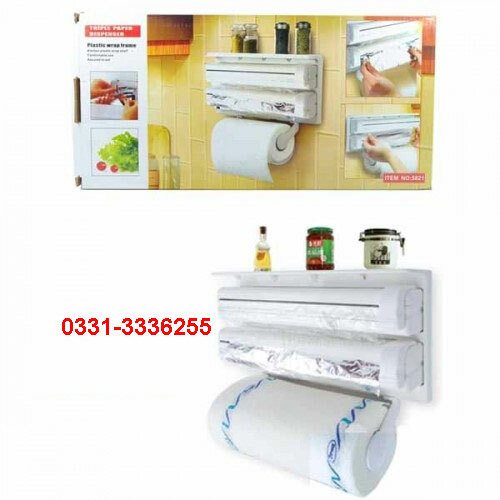 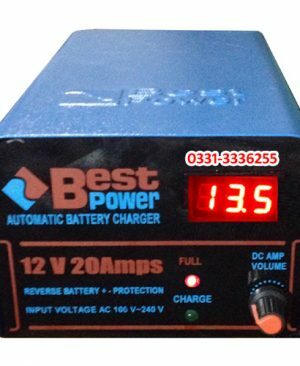 Online Shopping in Pakistan Triple Paper Dispenser 3 in 1 A Smart Choice with Free Home Delivery and Payment On Delivery.Triple Paper Dispenser 3 in 1 A Smart Choice (Product Code: 3-Tissue-Dispenser) offer by DiscountMall at just ₨1590/- instead of Rs 2200/-, enjoy Fast Shipping with FREE HOME DELIVERY. 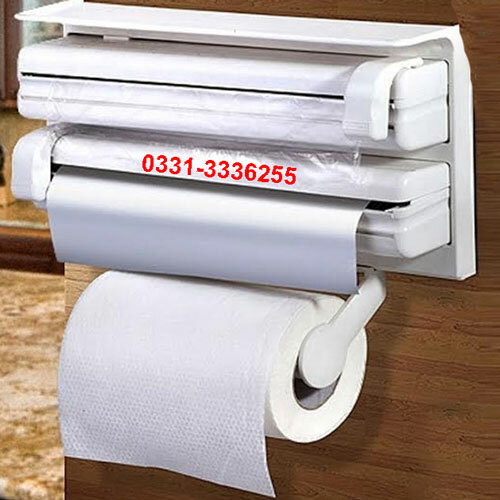 A Smart choice for your kitchen it has 3 useful options with smart holder an adjustable tissue holder gives your freedom to put any size tissue roll in it. 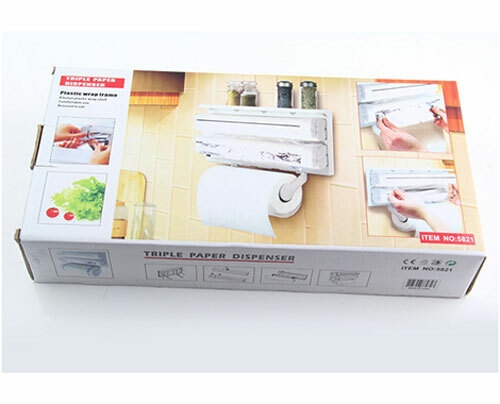 It keeps your cling and foil wrap neat and clean and cuts smoothly with it’s tiny smart cutter.